A Tongan newspaper publisher once jailed for contempt of Parliament in the autocratic Pacific kingdom has accused royal authorities of persecuting dissidents and independent news media. And he says in a new book that the Tongan establishment viewed the Supreme Court judgement in 1996 that set him and his two fellow political detainees free from their Parliament-ordered imprisonment as a "New Zealand conspiracy". A TONGAN publisher once jailed for contempt of Parliament in the autocratic Pacific kingdom has accused royal authorities of persecuting dissidents and independent news media. And he says in a new book that the Tongan establishment viewed the Supreme Court judgement in 1996 that set him and his two fellow political detainees free from their Parliament-ordered imprisonment as a "New Zealand conspiracy". Kalafi Moala (right), Auckland-based publisher of the Taimi 'o Tonga and a string of other Pacific newspapers, says the monarchy does not tolerate criticism and scrutiny, and the country will not move forward without full democracy. Failure to change could force the Tongan people to "rise up". Writing in his new book Island Kingdom Strikes Back  the tale of the independent newspaper Taimi 'o Tonga (Times of Tonga) being launched in Auckland tomorrow  Moala says that Tonga's establishment was "stung" by Chief Justice Nigel Hampton's ruling to free him, his newspaper's deputy editor Filokalafi 'Akau'ola and pro-democracy MP 'Akilisi Pohiva. "Rumours raged around Nuku'alofa that his ruling was the result of a New Zealand 'conspiracy' aimed to get us out [of jail]. The judge was a New Zealander, much of the protest against our imprisonment had come from New Zealand and I was a New Zealand resident," Moala says. The writ of habeas corpus was also pressed by New Zealand civil rights lawyer Barry Wilson. The three men walked free on 14 October 1996 after serving just three weeks of their 30-day sentence when the chief justice ruled that they had been detained illegally in violation of the constitution. Moala says they wept with elation over their freedom. "Tears were running down my face. They were tears of joy and rage, anger at the unjust treatment we had suffered at the hands of Tonga's Legislative Assembly," he recalls. "After all the political turbulence associated with our 'trial' and imprisonment, the country's top judge had declared our jailing unconstitutional and unlawful." Island Kingdom Strikes Back is the first political book by a leading South Pacific journalist and is an indictment of injustices carried out by the monarchy-backed authorities against political dissidents in Tonga, particularly his own independent newspaper which has flourished as the pro-independence movement has grown. Published in Auckland, Taimi 'o Tonga is now the leading Tongan newspaper and has spawned other papers in the Lali Communications group, including the weekly Samoan International, Cook Islands Star and the Indian Tribune. Moala is regarded as the doyen of New Zealand-based Pacific publishers and last year he was elected president of the Pacific Islands Media Association (PIMA), a new body dedicated to boosting islander media people and encouraging training. 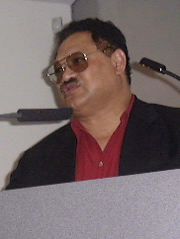 The book cites many incidents of victimisation of independent media and political dissidents, including the arrest in February 1996 of journalist 'Akau'ola and two writers of letters to the editor published in the Taimi 'o Tonga and defamation writs designed to gag and ruin the newspaper. Moala also raises the issue of "injustice" with a ban on Auckland-based Agence France-Presse correspondent Michael Field and he accuses Police Minister Clive Edwards of waging a vendetta against the Taimi 'o Tonga. Tonga is described as being "awash with scandals and scams  most, if not all, which [have] some connection to the monarch and royal-appointed government". Among many examples, Moala cites the "probable loss of US$20 million invested by the Tonga Trust Fund in a high risk insurance scheme. Two ministers lost their job over the debacle ... The king and his kingdom became the international media's laughing stock". Moala accused the royal family  headed by 88-year-old King Taufa'ahau Tupou IV, Crown Prince Tupuoto'a, 54, and his only daughter, Princess Salote Pilolevu Tuita, 50  of not taking responsibility for any of its "most outrageous blunders or scandals marring the kingdom's development. "This concerned me because the kind of press coverage Princess Pilolevu sought for Tonga was devoid of criticism or any 'negative' reporting," he says. Foreign investment needed to be attracted to Tonga through the country being portrayed in the best possible light, the princess believed. "It was truth-twisting in its worst form. She was advocating a cover up of bad news and the reporting of only good news," Moala says. "Urging unreasonable and unprofessional censorship and curbing media freedom, usually by those in authority, indicates authorities do not appreciate being scrutinised. They have often presented a variety of excuses to curb media freedom, excuses made in the name of national development or national security. "Phrases such as 'responsible reporting' have been thrown up like a hand grenade to disrupt adventurous attempts to report socially uncomfortable events such as crime, corruption and scandals." Moala is also critical of Tonga's state-run media. "For years these state-owned media have suppressed certain news in order to please their masters. Many journalists in Tonga, who have worked for state-owned media, have simply tossed away their journalistic duty to report all the news, and have become part of 'the information cover-up' within government," he says. "They have subjected themselves to sub-standard journalistic practice, and then urged the independent media to follow suit. "What I found annoying was the ceremonious lip service often given to press freedom. Some supposedly independent [Pacific] media have created their own unwritten 'contracts' with island governments and aristocracy to protect their own financial interests." Moala concludes that the Tongan constitution is "outdated and intrinsically flawed". "The monarchical system of government it endorses is tragically unfit to facilitate the social, political and economic changes and development that inevitably must take place if Tonga is to survive and function with purpose in the 21st century." He predicts that conditions in Tonga will "worsen until authorities relinquish their unbalanced hold on power". "If they don't, the people will rise up and take in their own hands the destiny of the island kingdom." David Robie is publisher of Café Pacific. Copyright © 2002 David Robie and Asia-Pacific Network. This document is for educational and research use. Please seek permission for publication.